Home / Entertainment News / Late IVY WANGECHI’s parents speak and drop a shocker, See what they said about KINUTHIA, the killer. Late IVY WANGECHI’s parents speak and drop a shocker, See what they said about KINUTHIA, the killer. 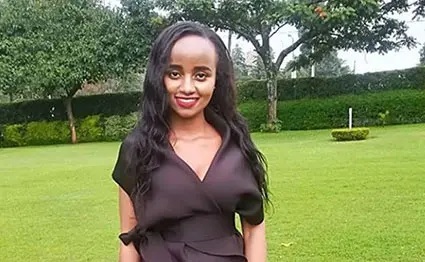 Wednesday, April 10, 2019 - The parents of the late Moi University medical student, Ivy Wangechi, who was brutally murdered by her lover, Naftali Kinuthia, have broken the silence after the gruesome murder of their daughter. According to Eldoret East DCI boss, Ali Kingi, Ivy’s parents recorded a statement and said that they knew the suspect who hacked their daughter to death. They further revealed that he has been their family friend for long. He used to frequent their home for visits and they are shocked as to why Kinuthia decided to kill their daughter. According to Ivy’s parents, their late daughter and the suspect have known each other since childhood. “The girl’s parents say they knew the suspect. He used to visit them often, and is a family friend. They were also shocked why Kinuthia killed Ivy. The suspect and the deceased knew each other since childhood” the DCI boss who is investigating the gruesome murder said.